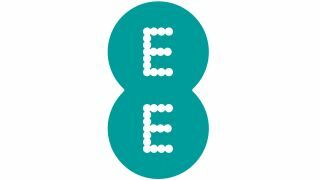 High street mobile retailer Phones 4U will begin selling own-branded mobile contracts on the EE network in the UK. The new network, launching in March, will be called LIFE Mobile and, according to Phones 4U, will offer more flexible and creative contracts than those sold by major networks. The previously network-neutral company, currently facilitates all of the major UK carriers, but will also be what's known as a mobile virtual network operator (MVNO), piggy-backing on EE's infrastructure. As well as access to the UK's largest 3G network, LIFE mobile customers will also be able to sign up for 4G LTE contracts later in the year. The arrangement, which is similar to how Tesco Mobile operates on O2's mobile network technology, will not affect the current range of phones and network choices offered by Phones 4U stores. Tim Whiting, Group Chief Executive at Phones 4U also vowed not to push LIFE Mobile contracts ahead of others sold online or in brick-and-mortar stores. He said: "We are delighted to be able to extend our longstanding partnership with EE in order to add LIFE Mobile into the wide range of products and services available at Phones 4u. Our customers see their mobile devices as an integral part of their daily lives. "LIFE Mobile will enable us flexibility and creativity in designing propositions to give our customers even further choice. We will sell LIFE Mobile alongside our existing network propositions and are confident the new network will play a key role in driving further growth for our business."